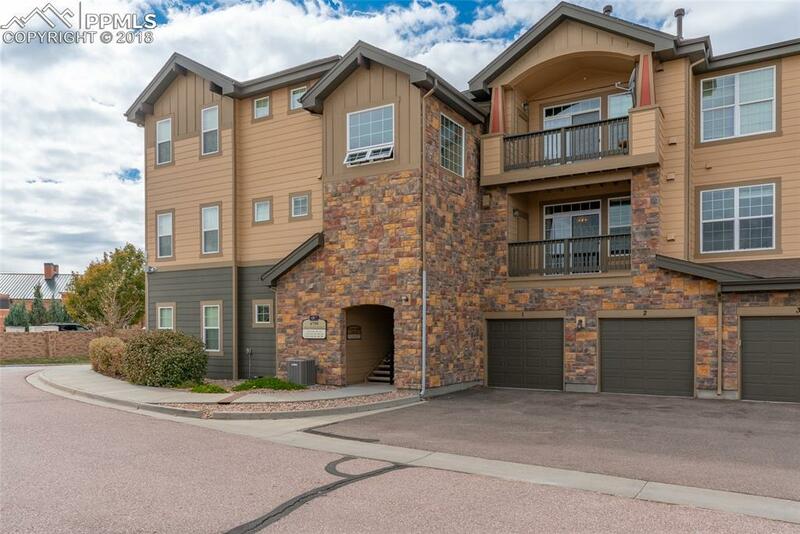 4790 Wells Branch Heights #206, Colorado Springs, CO 80923 (#5417342) :: Fisk Team, RE/MAX Properties, Inc.
LOW MAINTENANCE LIVING * MOVE-IN READY * STAINLESS STEEL APPLIANCES * GRANITE COUNTER TOPS * GAS FIREPLACE * LARGE MASTER BEDROOM * WASHER AND DRYER IN UNIT * HUGE WALK-IN CLOSET * POOL AND HOT TUB Come see this move-in ready condo that is just waiting for you! Easy access to dining, shops, schools, and Cottonwood Creek Park walking trails make this a very desirable location. As you enter the complex, there is an abundance of parking for you and all of your guests. You will be dazzled by the custom light fixtures and the newer laminate wood flooring throughout the main living areas. The kitchen boasts tons of cabinet space as well as gorgeous granite counter tops, stainless steel appliances, and a counter bar. Entertaining will be a breeze as this open concept floor plan flows easily from the dining room to the living room. You will stay nice and cozy this winter with the gas fireplace in the large living room! The covered balcony has expansive views from Black Forest to the plains and is perfect entertaining and storing all of your gear in your private storage closet. The master bedroom is large enough for a king sized bed and has a huge walk-in closet! There is also an adjoining bathroom with double vanity and soaking tub. You and your guests will love swimming in the pool or relaxing in the hot tub on those long summer nights! Come and see why this updated and move-in ready condo will be perfect for your low-maintenance lifestyle!